The Blessington Carriage originates from two terraced houses that were converted into a two storey restaurant back in the mid 1970’s. The restaurant was created by two guys from Nottingham and was called Ben Bowers after the famous traveller. The restaurant was on the first floor with the bar on the ground floor. In the mid 1980’s the pub trade started to dominate and took over the success of the restaurant. There was even times when the music from downstairs used to make plates bounce off the tables in the upstairs restaurant. This led to the pub expanding into the two adjacent cottages that were built in the 1900’s. The Bless was amongst the first pubs in Derby to obtain a late night license and ever since it has been a key part of the Derby night life. These days when you walk through the front doors you’ll find a spacious interior and a strong indie vibe throughout. With secluded seating areas for a quiet catch up, two beer gardens to soak up some sun, as well as a dance floor for those weekend nights. There’s even a second bar offering discounted doubles on the weekends. Offering a wide range of largers, wines, ciders, plus loads of real ales every week. The Bless has something to suit you at any time. Not to mention an upstairs function room available for hire for that party you’ve been planning. 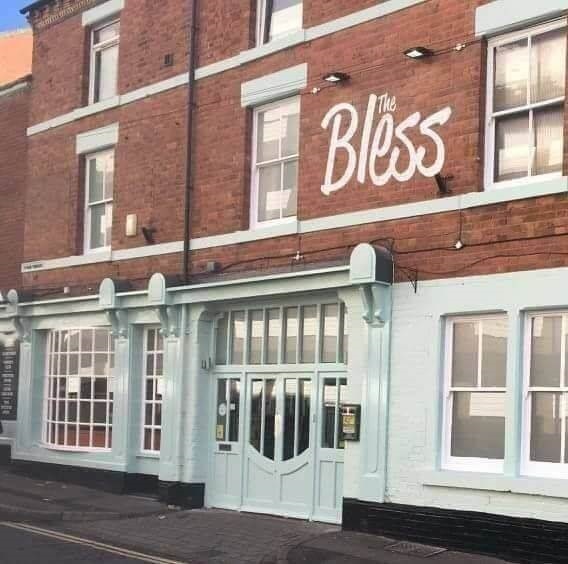 Located on Chapel Street The Bless is only a short stroll away from the city centre. Our weekly quiz starts at 9pm every Wednesday. Only £2 per team with a free plate of chips as well. With a picture, general knowledge and music round it’s the perfect opportunity to test your knowledge and win some prizes along the way. Jukebox Bingo- with DJ Austin Powers every Thursday from 9pm. Get your free chips and tunes every week. It’s bingo with songs because numbers are boring. Get your indie fix with DJ’s Nik and Lee as they blast out the tunes.